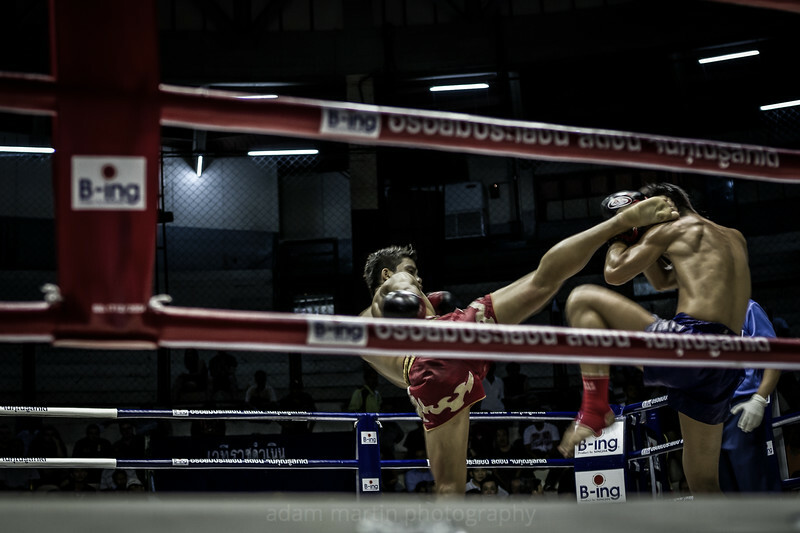 Muay Thai Sunday night doesn't pack in the crowds at Rajadamnern Stadium but that doesn't dilute the determination and intensity of the fights. Nor does it take away from the whole spectacle that to Thai's is more than an oversized marketing event, it harks back to ancient times and brutal warfare. In days long gone the fighters fought to the death with hands wrapped in broken glass studded strapping and was a way out of poverty and into stardom for some, and for others a brutal hammering in to obscurity often broken and damaged. Yet the respect that is shown for each other is incredibly gentlemanly which seems at odds with the outright violence but many of the fighters are friends and train together. Elbows, knees fists and feet are used to smash your opponent and no matter what the age they give their all.